There are only two weeks left for people to object to plans to stop all weekday tube services to Olympia Station. Over 40,000 residents will be affected by this service cut. You can read more about these plans by clicking onto this campaign website set up by local residents. Click here to email Transport for London directly and here to email Mayor Boris Johnson (Con), who runs TfL. NO weekday Olympia tube service at all from December onwards. 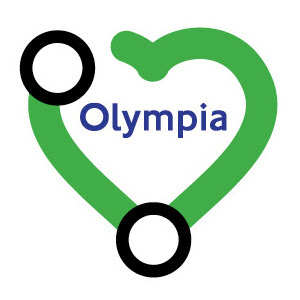 It removes access for hundreds of people with limited mobility because the Olympia District line is a step free station. TFL has set a deadline of 31st May for people to object and plan to withdraw the service on 11th December this year. They argue that their primary reason for this change is to relieve a bottleneck in the Earl’s Court area which they say is the source of many of the delays on the District line. TfL also say they will increase overground services to Olympia station and add five extra tube trains on the District line’s Wimbledon service. However local residents say this will be insufficient to compensate for such a massive loss of service. You can read more of TfL’s explanation by clicking here and view the residents' response here. Many residents have been disappointed to learn that H&F Conservatives have not only refused to campaign for a more equitable solution but actually lobbied TfL and Mayor Boris Johnson for this change. You can click here to sign the residents' petition and support their campaign. Thank you for your support. We can only hope by banding together we can get TfL to review this decision. I am all for the decision to stop this service. The Earls Court-Olympia service is overserviced and underused. Most trains run completely empty and take up valuable platform space. More service on the ovecrowded Wimbledon branch is what's required. This adjustment of service cannot come soon enough.